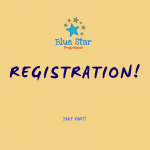 Fill in online or download this form in Microsoft Word. Tá an Plean Gníomhaíochta ar fáil as Gaeilge freisin. Tá sé ar líne anseo nó i ndoiciméad Microsoft Word anseo. 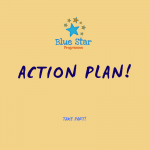 Having trouble filling in your Action Plan? 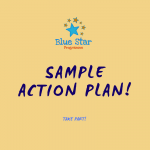 Have a look at our 2018-2019 Sample Action Plan here for inspirations and ideas. Download this form in Microsoft Word Doc. 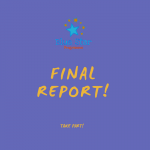 Once registered, all participating Blue Star Programme schools will receive a resource pack full of useful and colourful materials to help them with their lesson planning and activities during the year. 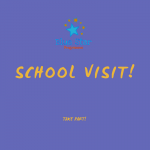 Lots of our resources are available in Irish for any schools that wish to participate in the Programme through Irish.